Dying popcorn is an original way to add a little twist to a favorite snack. Colorful popcorn is also very popular at holidays, such as Christmas and Halloween, with many people using it for popcorn candies, popcorn balls or in garlands. 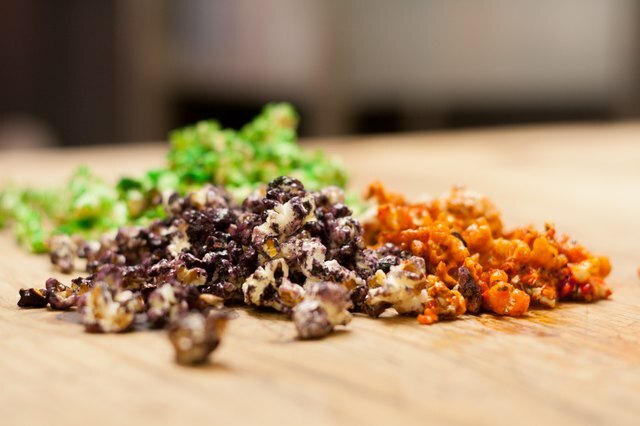 There are a variety of methods to dye popcorn, each of them easy and each of them leaving the popcorn edible. Measure out 1 1/2 cups of popcorn kernels. Pour the popcorn into the machine. Add 1/2 cup sugar and 1/4 cup of oil to the popcorn. 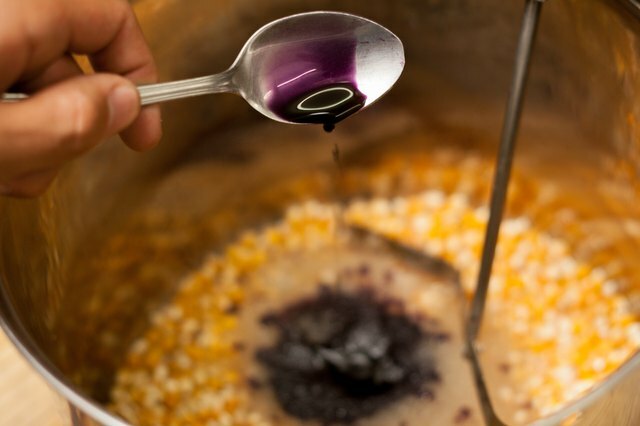 Place a few drops of food coloring on top of the popcorn mix. Put the lid on the machine and set to stir. Allow the popcorn maker to stir until the popcorn is popped and dyed completely by the food color. This is method one. Fill the large bowl with popped popcorn. Put the bowl aside for a moment. Set the pan on the stove. Put some butter into the pan. 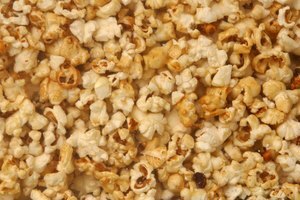 The amount of butter depends on personal taste preferences for buttered popcorn. Turn the burner on low heat under the pan so that the butter melts. 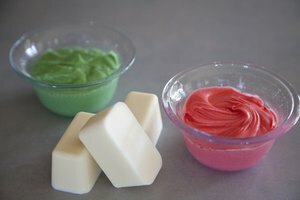 Add the desired amount and color of food coloring paste to the melting butter. 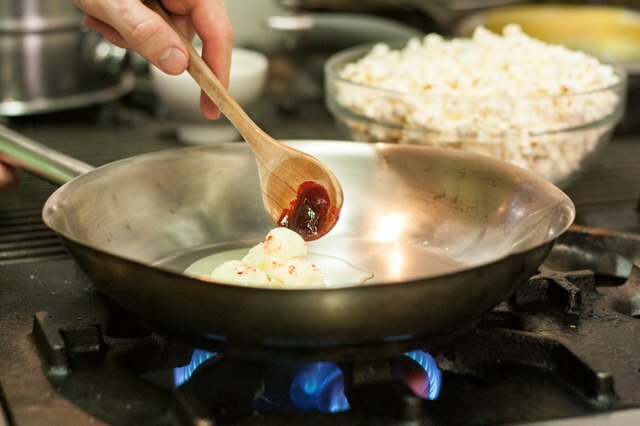 Stir with a wooden spoon until the butter is completely melted and blended with the food coloring. Pour the colored melted butter over the popcorn in the bowl. Slightly stir the popcorn. This is method two. Open a large zip plastic food storage bag. Put the popped popcorn inside, leaving room for shaking the popcorn. Add your desired amount of powdered food coloring and a few drops of water. 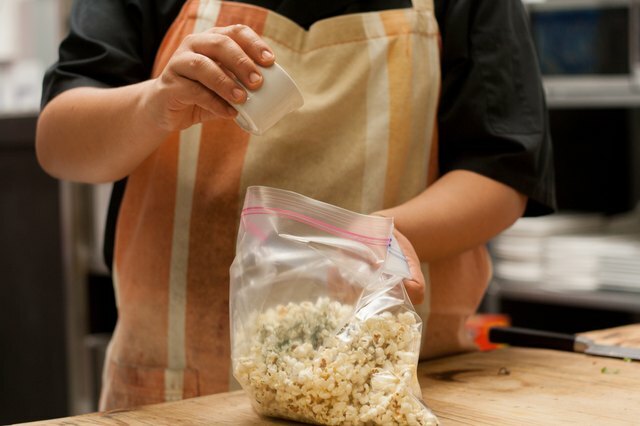 Zip the bag closed and shake it until the popcorn is coated in color. If it is too powdery, add a few more drops of water and repeat shaking. Powdered food colors can be found at cake decorating supply stores. This is method three. The depth of the color will vary by method and the amount of food color that is used. Already popped popcorn will be more colorful usually than when adding color to kernels that are not popped. In method two, do not stop stirring the melted butter and coloring or it will burn.